Avey Tare - Cows on Hourglass Pond. Vinyl LP, CD. Bleep. 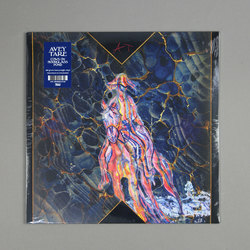 The new solo LP from Animal Collective’s Avey Tare arrives through Domino. Cows On Hourglass Pond is a lush listen that finds Tare bringing together the variant strains of his musical output. Anyone who enjoyed the folksy new age psychedelia that characterised his previous LP Eucalyptus will not be disappointed. Similarly, long-time Animal Collective fans will be pleased by Cows On Hourglass Pond’s similarities with Sung Tongs. The dubby bass tones of Tare’s 2010 record Down There also show up, and there are also a few moments when Tare locks into a ruminative, Neil Young-ish strain of acoustic rock. Of course, all of this stuff is delivered in Tare’s inimitably wacky way.